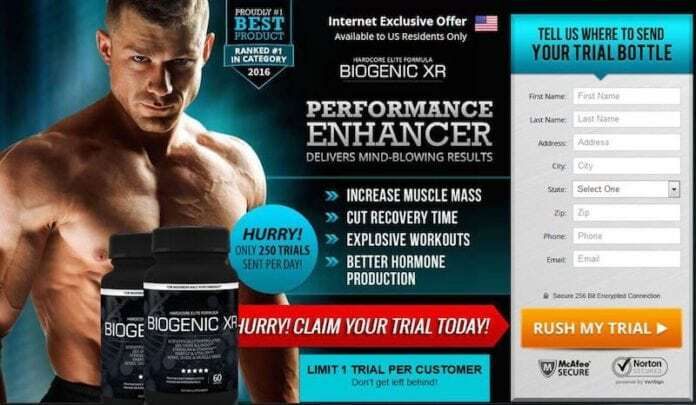 Biogenic XR Trial Offer Review - Is this offer legit? 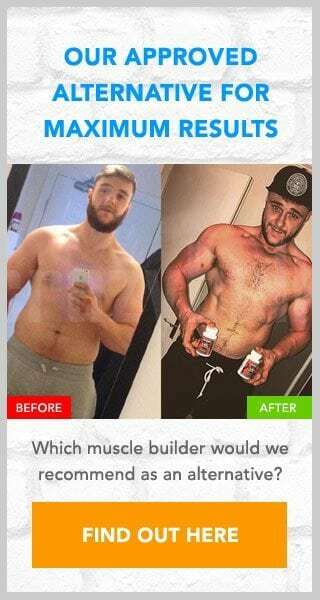 Biogenic XR Trial Offer Review – Is this offer legit? 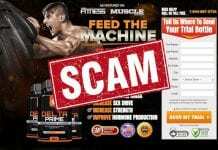 Are you looking to build muscle and strength? If so you will likely be impressed by the claimed benefits of Biogenic XR. Does it work as claimed though? That is the purpose of the following review to answer this question. Please read on to discover our findings before you go reaching for your credit card information. 4 Is the Biogenic XR trial offer a scam? To check how accurate these claims are we will need to look at what ingredients have been used. This is the most effective method you can use to check the effectiveness of a product, so this stage is one that you should not skip. While there is no label available we do have a small section on the website dedicated to its ingredients. These ingredients include L-Arginine, Maca Root, Maritime Pine and Yohimbe. There is nothing new or exciting about any of these ingredients, but this is not a bad thing. These are ingredients found in many leading supplements, and that is because they work. When looking at trial offers like this you should never rush into signing up for them. It is always worthwhile spending a little time researching how much the offer will truly cost. To do this you will need to read through its terms and conditions page, which is located in the footer section of the website. What we know from reading these T&Cs is that there is a payment of $4.95 required when you first sign up, then a second charge of $89.78 just 14 days later. The T&Cs also reveal that this trial offer leads onto an auto-ship program that will charge you the full purchase price every month for deliveries received. Is the Biogenic XR trial offer a scam? While there is likely some benefit to using this product, this does not change the fact that this product is overpriced. Like most trial offers you need to be careful before signing up that you know what you are ordering. Chances are those who were not expecting such an expensive product and auto-shipping when signing up will surely be annoyed when they find out the truth. I would recommend avoiding this offer and looking for an alternative. Please leave a comment for us below if you have trialled this product. 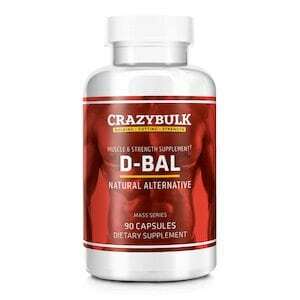 Our suggested alternative is D-Bal, muscle builder that comes highly recommended. D-Bal is made from proven ingredients that have been shown to mimic the benefits of the banned anabolic steroid Dianabol, but without the side effects. It is also completely legal to use, and as it is not available for trial you can buy it without having to worry about hidden or repeat charges. Click Here to Read Our Full Review of D-Bal! Ì thought I was getting a free trial which i paid for. Now they took nearly 70 pounds out of my account and never got anýthing i am not happy and want my money back. I got same problem they took my money as well. First they took nearly 3 pound few days later they took nearly 70 pound and I haven’t recived any thing I am not happy I want my money back we earn very hard and you took Easley that’s not good. Hi there got same problem paid for free trial and they took £110 pound out my account, absolutely disgusting that they can do this. I do not want this offer as my partner is on medication from his doctor so i am sending these jars back As he cant take them, I got them without asking him and he wasn’t very happy about it. You need to use the contact details found in the above review. We do not endorse this offer.